This adjustable Sterling Silver Adjustable Bracelet measures 8 to 9.5 Inches. 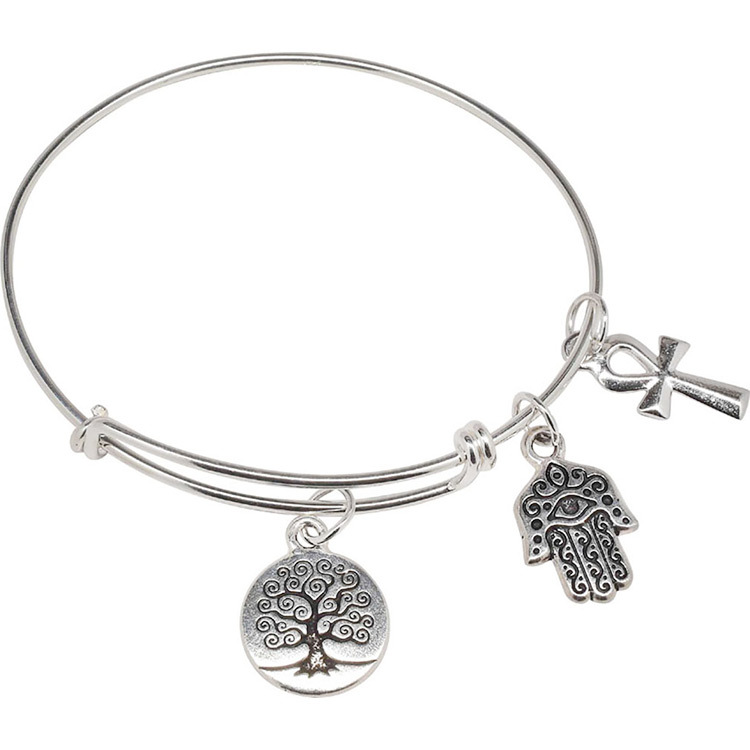 Our charms reflect the serenity of cultures, the Tree of Life, the Hamsa, and the Ankh all in Fine Silver Plate over Pewter. Add other charms as you like.